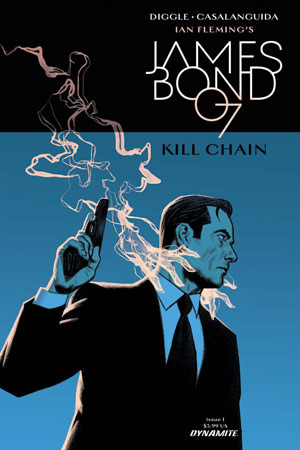 James Bond: Kill Chain by Andy Diggle (art by Luca Casalanguida) is a graphic novel, the fifth (and last?) 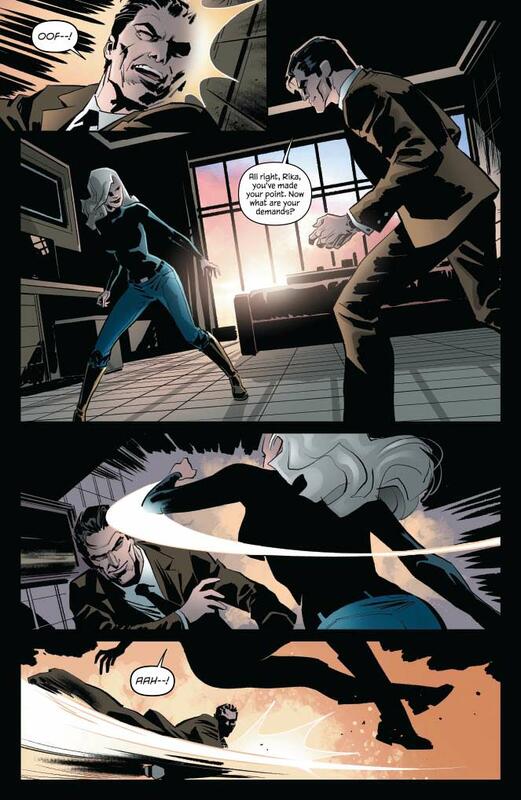 book in the James Bond Dynamite Comics Series. The creative team worked on James Bond: Hammerhead and I was happy to see them return. I truly enjoyed James Bond: Hammerhead so I was very happy to see Andy Diggle and Luca Casalanguida return in James Bond: Kill Chain. The graphic novel is enjoyable and intense, moving with a good pace. The plot of this book drew from the headlines, real world elements and geopolitics incorporated into an espionage-action narrative. I felt that Mr. Diggle told a very strong story, with moving pieces which work together as a fine machine. At first I was disappointed to see that SMERSH, an old Cold War relic, is coming back, but soon realized that the team breathed some fresh air into an old favorite and bringing them a new, more menacing, persona. The artwork is excellent, this is the way I imagined James Bond to be when I was reading the Ian Fleming novels. Mr. Casalanguida moves the story along with style and grace, which complements the excellent storytelling very well. This Bond is the classic Fleming Bond in a new world. I command the team for bringing in much of real world geopolitics into this story. A James Bond story is difficult to do and asks us many times to suspend reality (a super-secret spy working for a super-secret spy service with a super-secret permission to kill… but everyone knows him), and brining in some of these elements makes this read a very engaging one. Someone is assassinating allied agents, and James Bond is next on their list. The old alliances are collapsing which pits MI6 against the CIA.